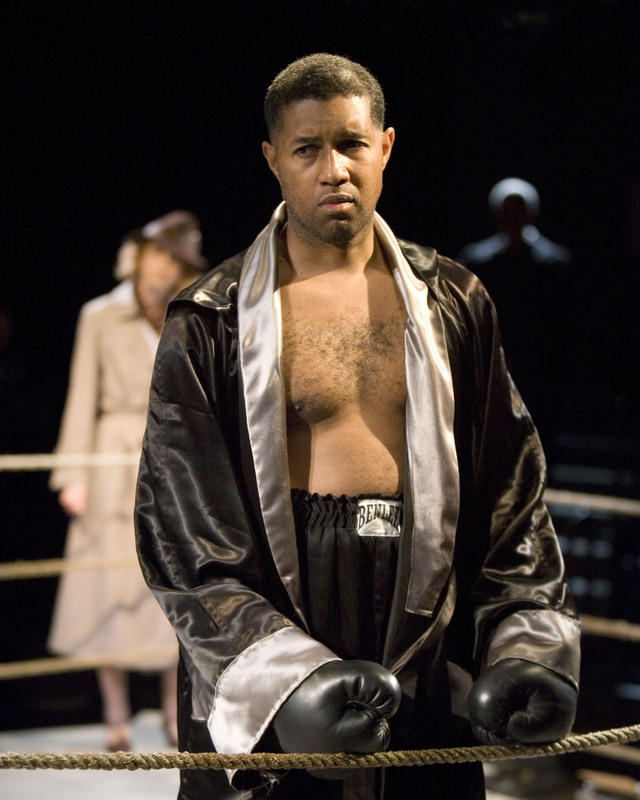 (L-R) Dion Graham, Katie Barrett, Rufus Collins, Al White and T. Ryder Smith in The Old Globe’s world-premiere production of In This Corner, by Steven Drukman, directed by Ethan McSweeny, playing in the Cassius Carter Centre Stage January 5 – February 10; photo by Craig Schwartz..
(L-R) Al White as “Blackburn” and Dion Graham as “Joe Louis” in The Old Globe’s world-premiere production of In This Corner, by Steven Drukman, directed by Ethan McSweeny, playing in the Cassius Carter Centre Stage January 5 – February 10; photo by Craig Schwartz. 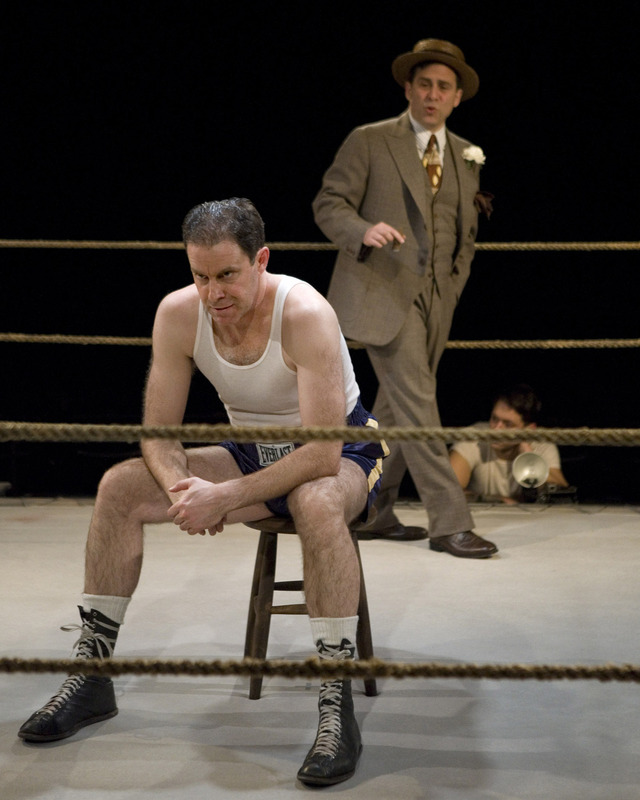 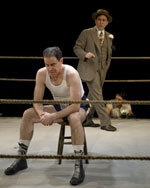 (L-R) Rufus Collins as “Max Schmeling,” David Deblinger as “Jacobs” and John Keabler as “The Boxer” in The Old Globe’s world-premiere production of In This Corner, by Steven Drukman, directed by Ethan McSweeny, playing in the Cassius Carter Centre Stage January 5 – February 10; photo by Craig Schwartz. 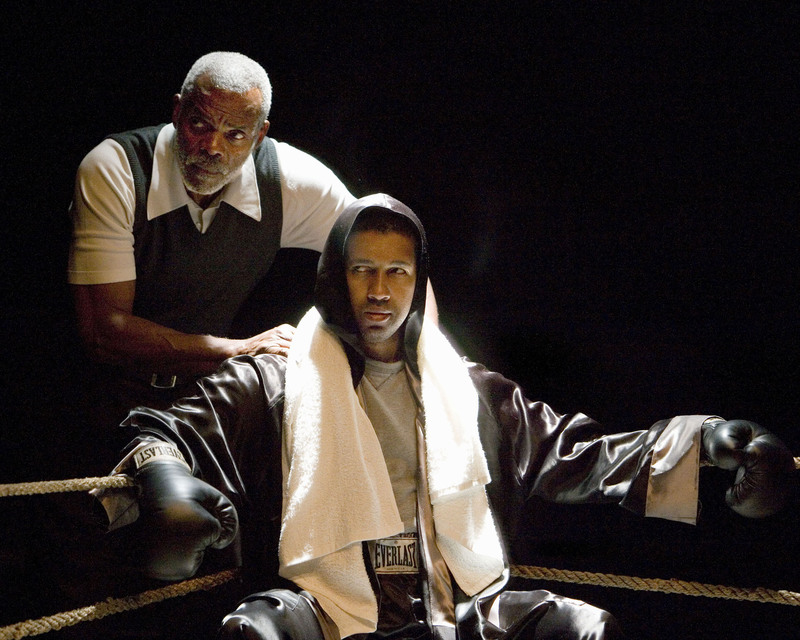 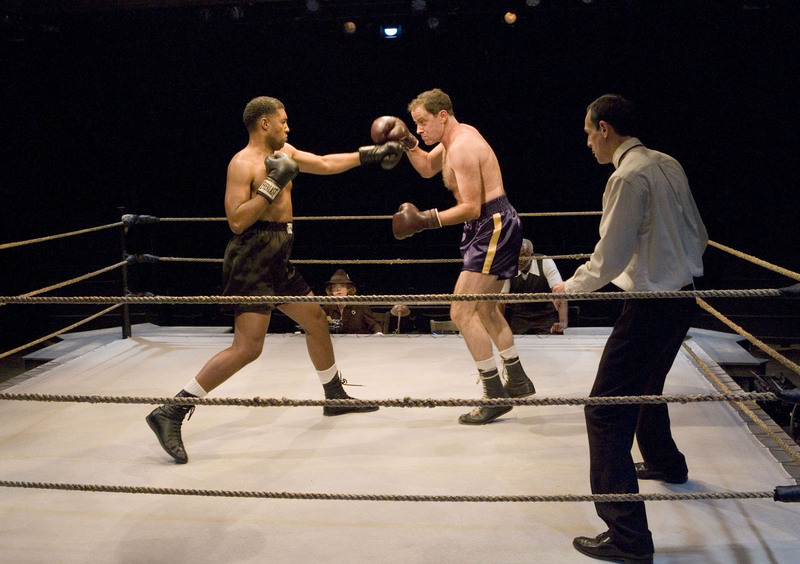 Dion Graham (front) as “Joe Louis” and Katie Barrett as “Reporter” in The Old Globe’s world-premiere production of In This Corner, by Steven Drukman, directed by Ethan McSweeny, playing in the Cassius Carter Centre Stage January 5 – February 10; photo by Craig Schwartz. 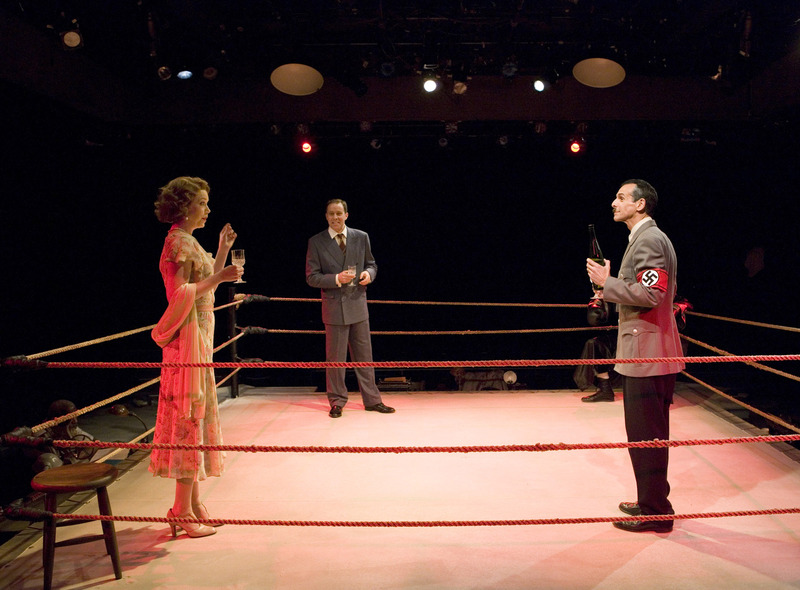 (L-R) Katie Barrett as “Anny,” Rufus Collins as “Max Schmeling” and T. Ryder Smith as “Hitler” in The Old Globe’s world-premiere production of In This Corner, by Steven Drukman, directed by Ethan McSweeny, playing in the Cassius Carter Centre Stage January 5 – February 10; photo by Craig Schwartz.